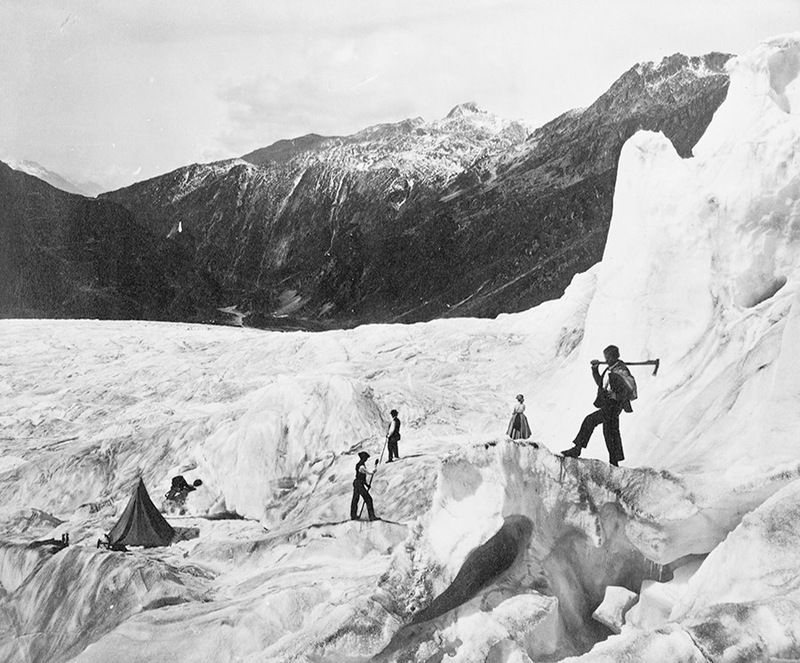 After posting several of these images in our recent Venue interview with outdoor equipment strategist Scott McGuire—easily one of my favorite interviews of late, touching on everything from civilianized military gear used in everyday hiking to REI-augmented wilderness camp sites as the true heirs of Archigram—I was so taken by their weirdly haunting views of humans wandering through extreme landscapes, dressed in 19th-century suits and top hats, carrying canes, that I thought I'd post a larger selection. 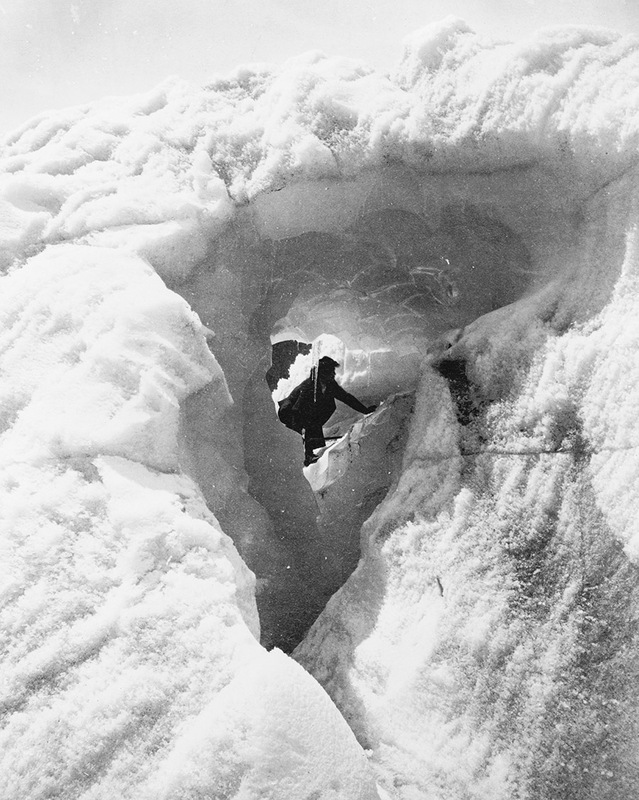 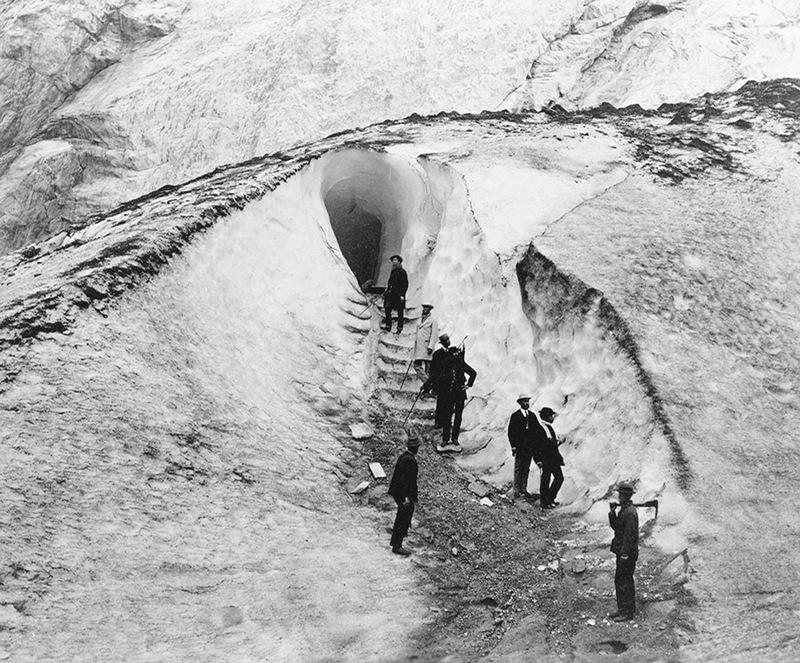 Middle class gentlemen and ladies in hooped skirts walk into ice caves and step gingerly across the cracked, abyssal surfaces of old mountain glaciers, pointing up at things they don't understand. 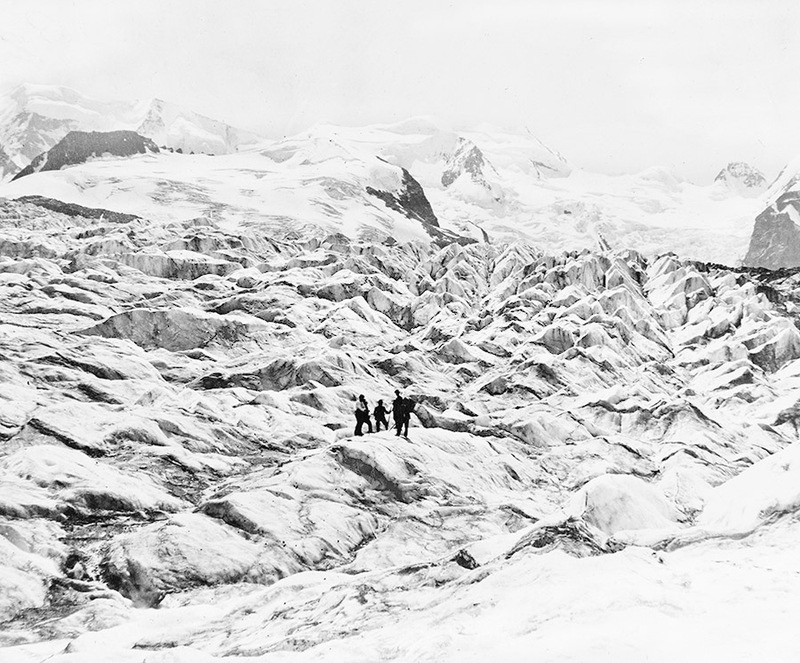 In fact, I could easily imagine an Alpine variation on Michelle Paver's memorably unsettling Arctic ghost novel Dark Matter set in such geologically extravagant landscapes, as humans struggle to survive, both physically and psychologically, in this encounter with an incomprehensibly over-sized landscape millions of years older than they might ever be, naively setting up camp amidst a wilderness that does not want them there. 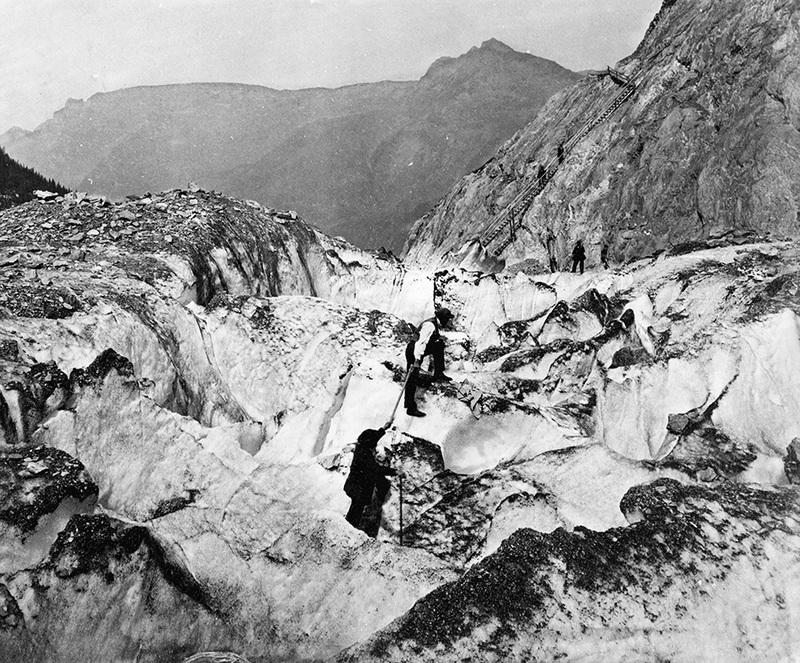 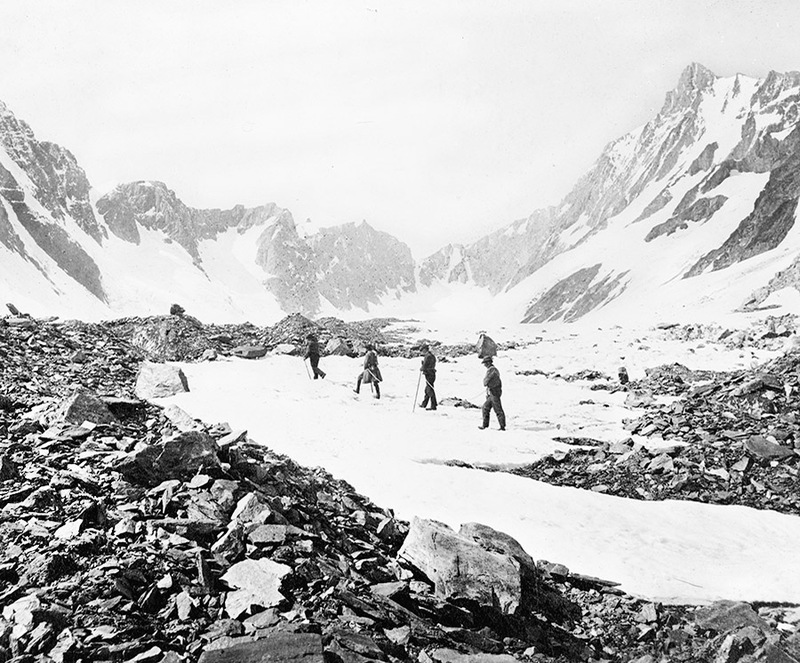 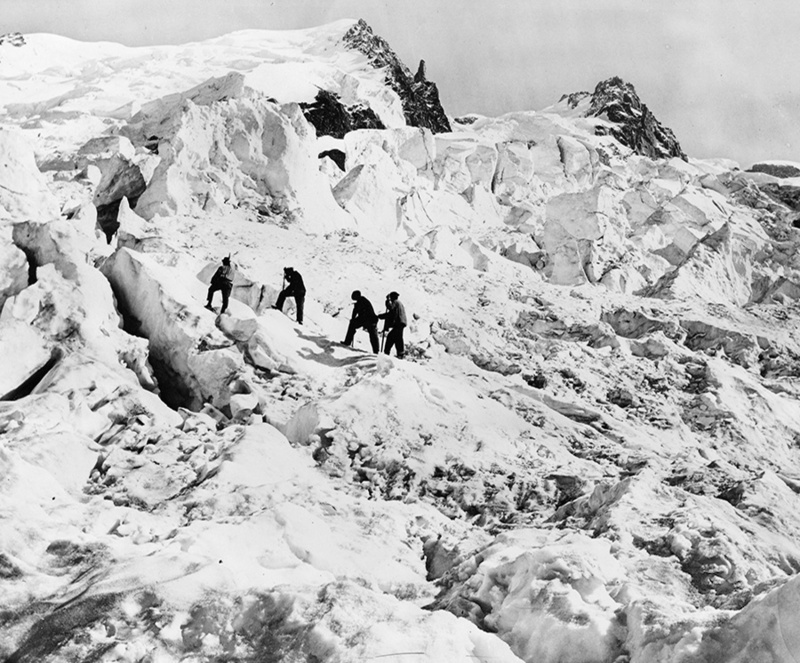 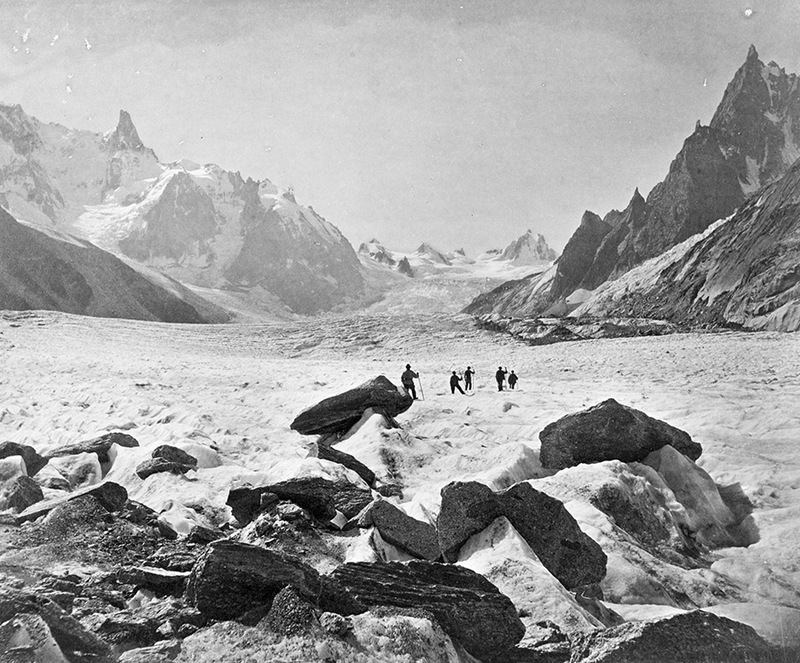 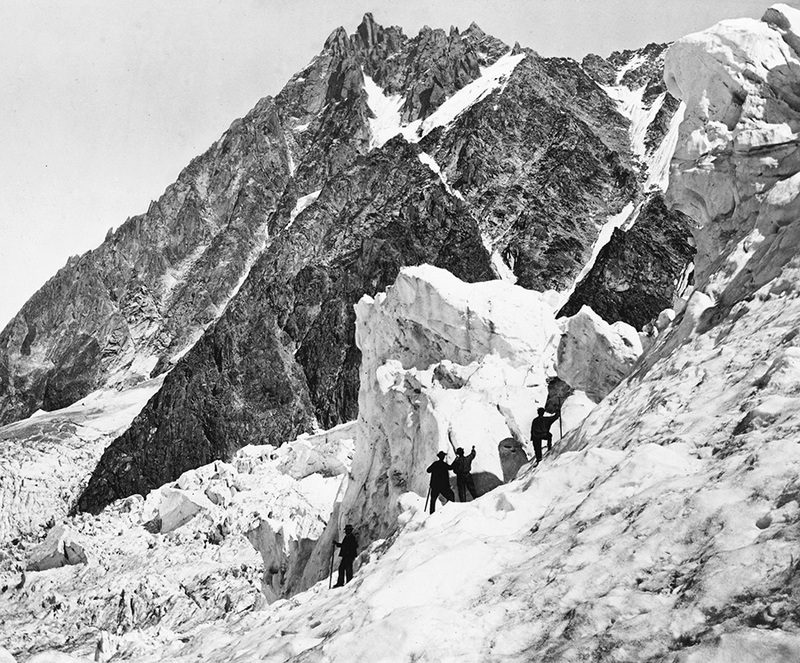 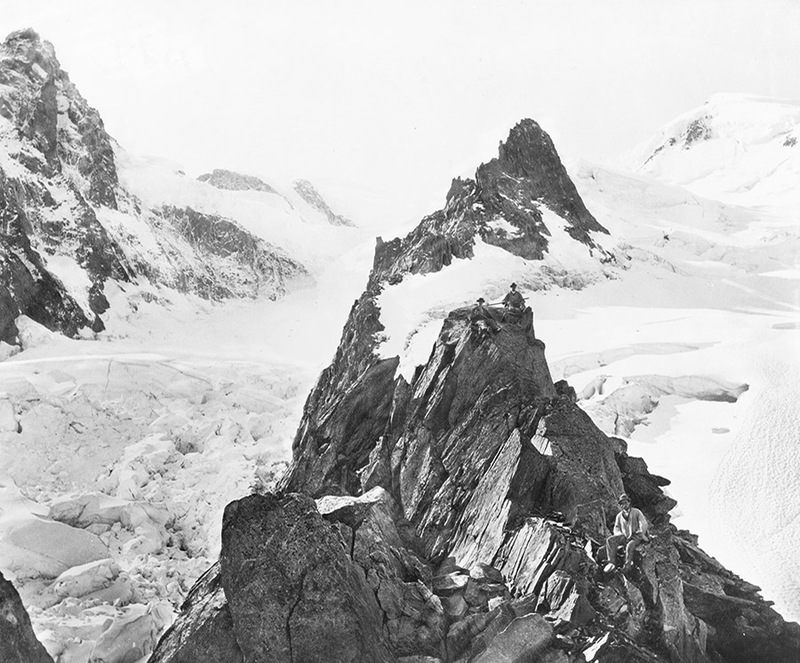 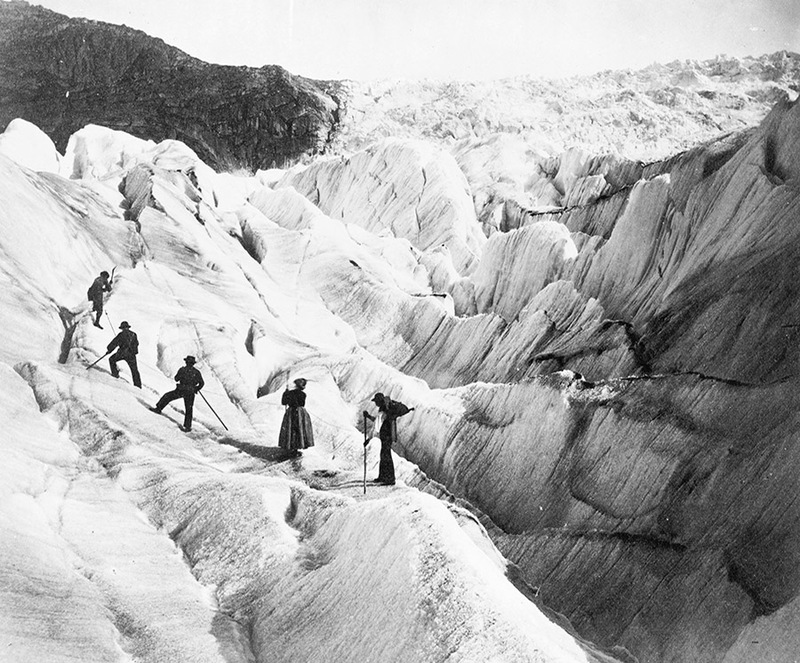 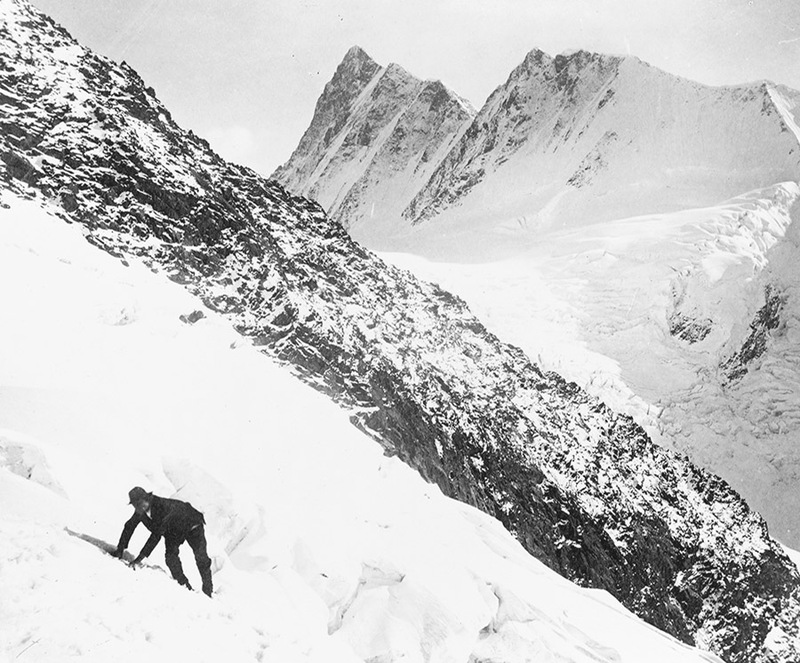 Like some unrealized backstory for their "Eisbergfreistadt" project, for example, or their "Circular River" expedition, men in wool vests pull one another up abstract glacial forms, as an incredible wooden staircase—if you look closely at the next image—races up the mountainside in the middle of nowhere. 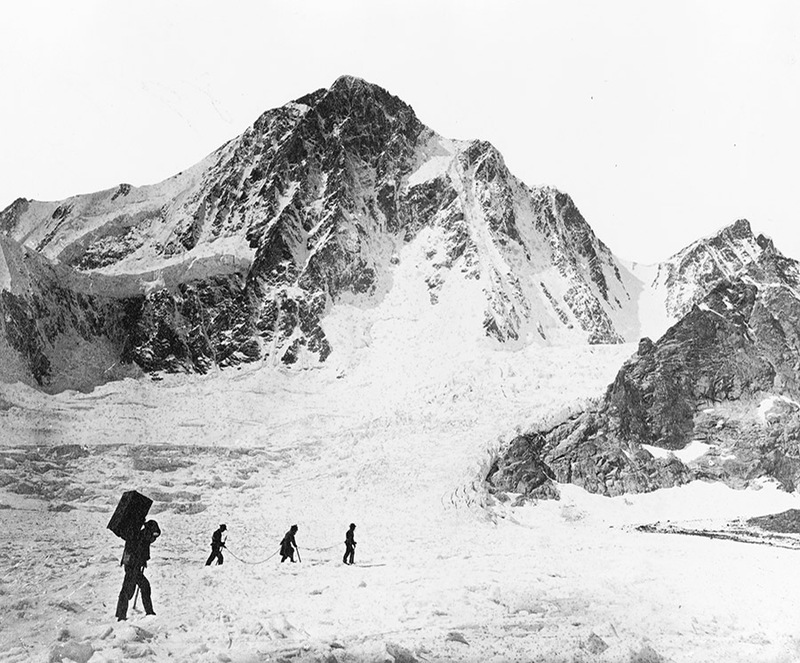 In any case, these all come courtesy of the U.S. Library of Congress Prints & Photographs Division, where substantially higher-res versions of each photo are available; but don't miss the additional photos in the interview with Scott McGuire over at Venue.